No one ever opened a business so they could send invoices. Oh sure, we all love the money that shows up once those invoices hit the streets. But the actual process of calculating, formatting, printing and sending invoices to customers is too time-consuming and monotonous to enjoy, yet too important to ignore. Invoicing needs to be quick and easy — which is the guiding principle (not to mention the namesake) behind Invoice Quickly Pro. You can see how this super intuitive invoicing tool created especially for small to medium-sized businesses can streamline your operation at 90 percent off its regular lifetime subscription price, only $49 from TNW Deals. Invoice Quickly can help make sure accounting and business realities don’t get in the way of you actually building your business. 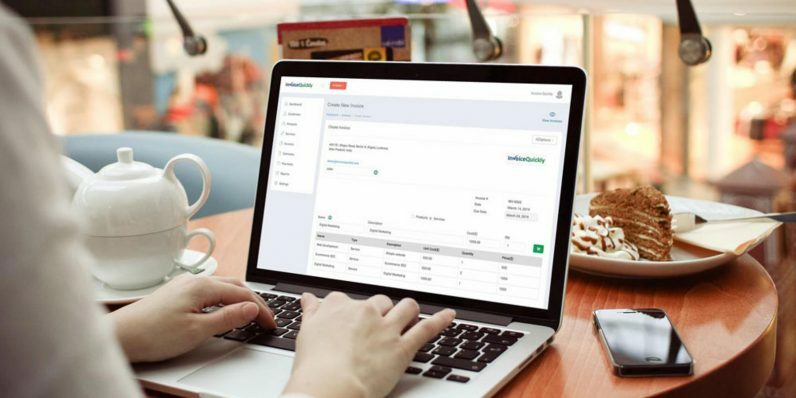 Once you get started, Invoice Quickly is an able assistant, ready to create professional estimates, invoices or even helpful payment reminders for customers in seconds. It works from any device, anywhere you go. And, it also features credit card and PayPal options to help get you paid faster. Meanwhile, Invoice Quickly comes packed with its own array of customer insight tools, offering important analytics to consider for growing your business through smart, data-driven decisions. Once IQ Pro is handling your invoicing, it’ll be like you just added hours of free time back to your schedule. That should be worth $49, especially when this deal trims almost $450 from the usual price.